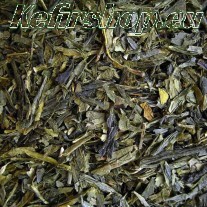 This Hibiscus herbal tea has a deep red color with a mild sweet taste and a delightful scent. In addition to its delicious taste, this tea is also known for its medicinal properties, including lowering blood pressure and cholesterol. This hibiscus tea is rich in antioxidants and helps to strengthen the immune system. This hibiscus tea is 100% natural and contains no added substances. The tea is packaged in a block bottom paper bag which is 100% durable, food safe and specially designed to be able to store the tea for a long time. Thus, the outer side of the block bottom packing of white Kraft paper. The inside is lined with a film PP foil. Both materials ensure that a barrier is formed against moisture, air and grease. For example, the contents remain fresh longer and the product does not show fat traces. The block bottom packaging is provided as standard with an ingredient label at the back.